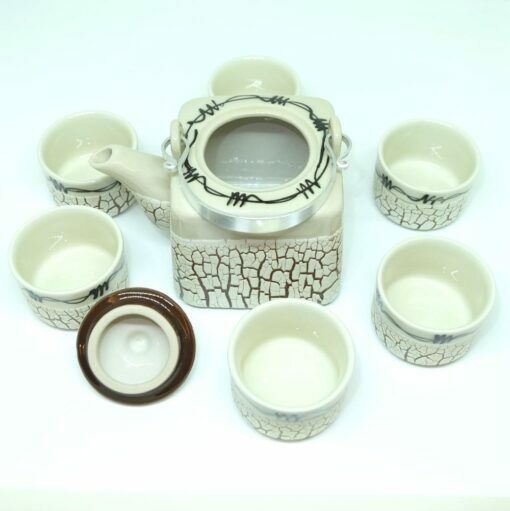 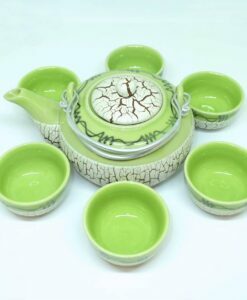 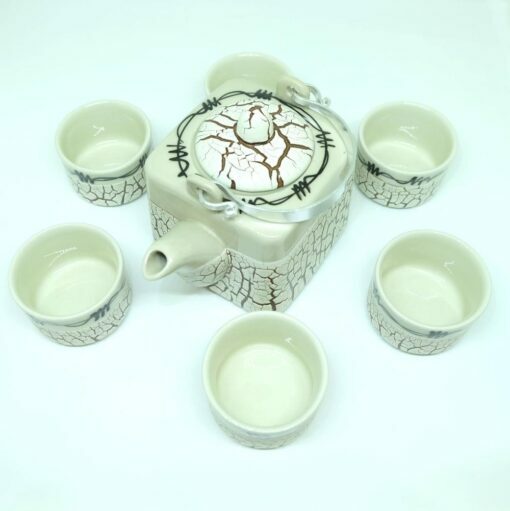 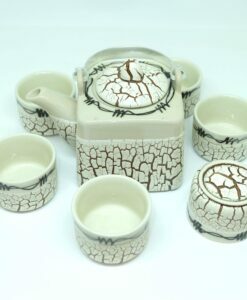 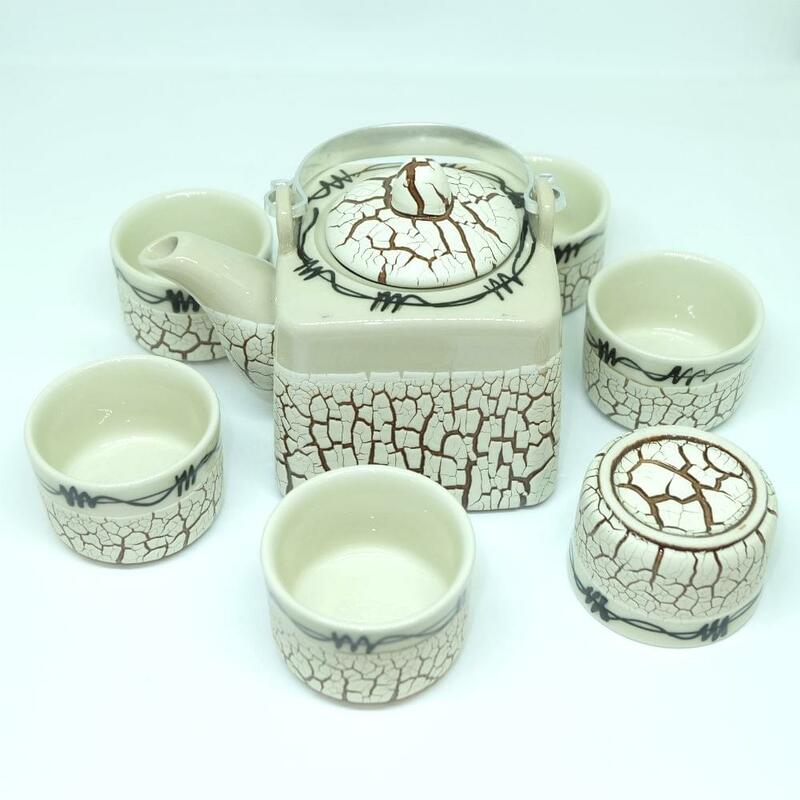 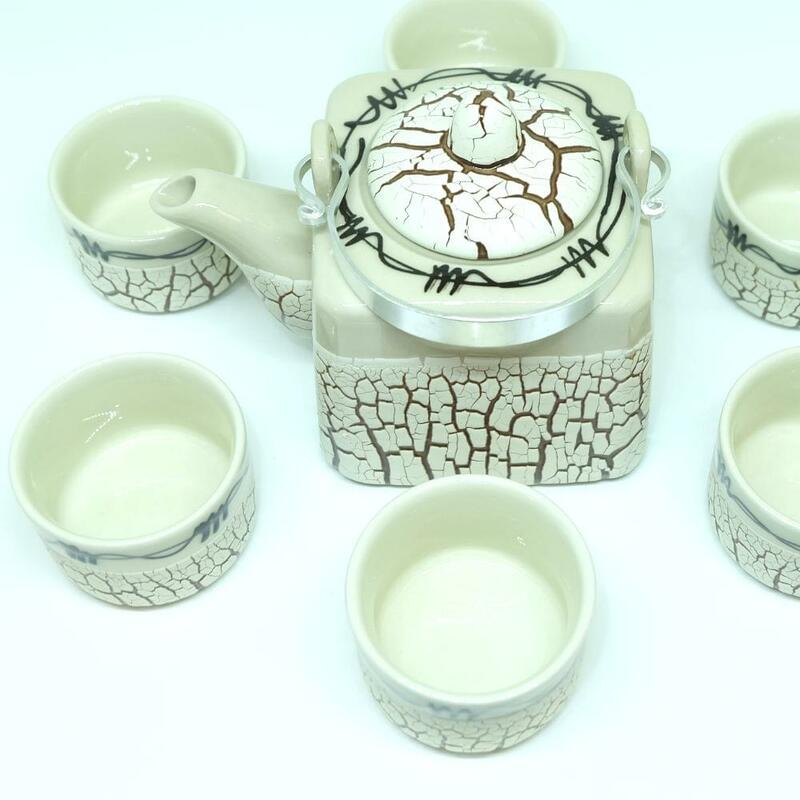 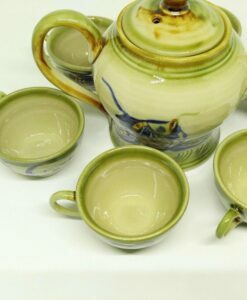 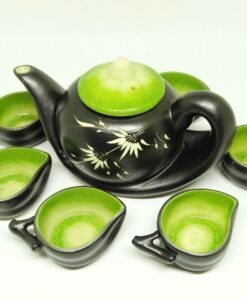 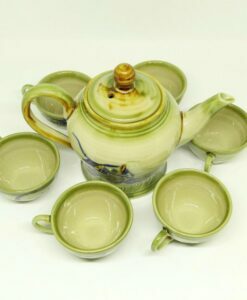 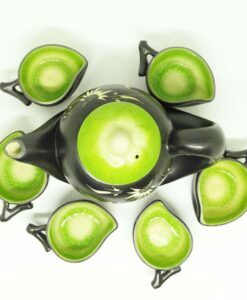 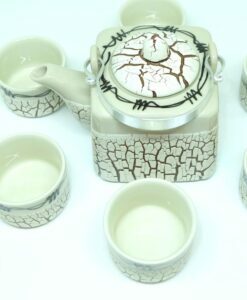 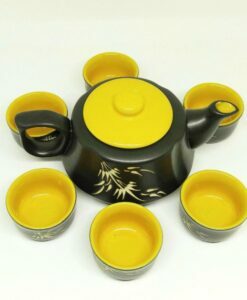 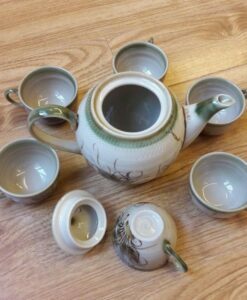 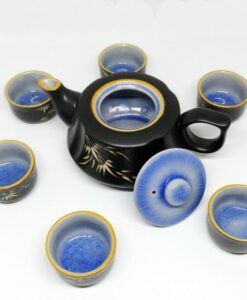 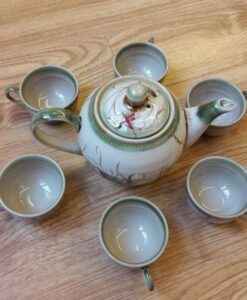 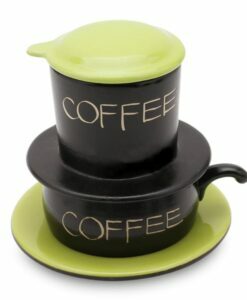 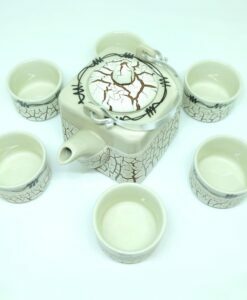 Handmade Bat Trang Pottery Tea Set Crack Glaze is the handmade product with the teapot in a square shape. 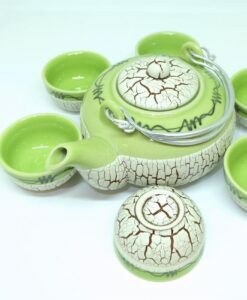 It is 100% made by hand by an artist from Bat Trang Village – The most famous ceramic art village in Vietnam. 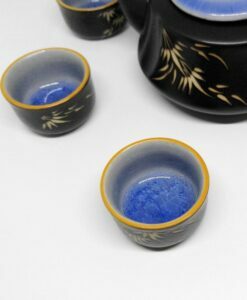 As the picture, however, because of the limitations in photography and the inevitable differences in monitor settings, the colors in the photograph may not correspond 100% to those in the items themselves. 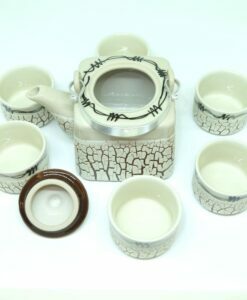 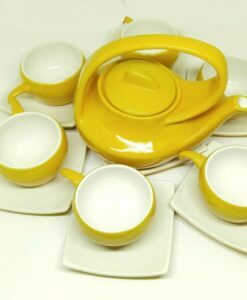 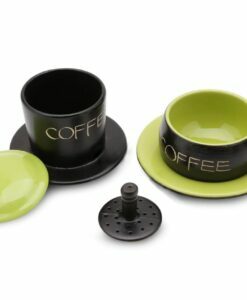 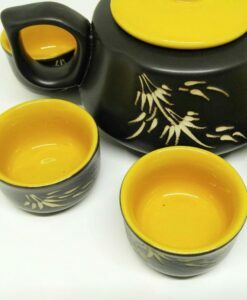 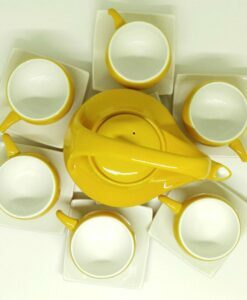 Please Note: Because this is the handmade item, there are maybe some points on the tea set is not perfect as the mass production product which is made by machine.